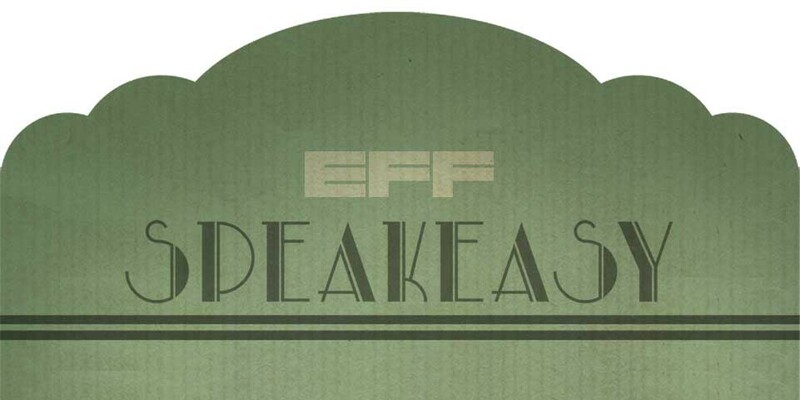 Join the EFF staff for a drink or a bite at our next member's Speakeasy at a semi-secret location on Thursday, March 7 in Washington, D.C.! Raise a glass with EFF and discover our latest work defending your freedom online. There's no program, just a free, casual gathering to give you a chance to mingle with local supporters and meet the people behind the world's leading digital civil liberties organization. This Speakeasy will be hosted by EFF Senior Staff Attorney Sophia Cope, Senior Staff Attorney Andrew Crocker, Legislative Counsel Ernesto Falcon, and Legislative Analyst India McKinney who who will be in D.C. to share the organization's expertise on issues including consumer data privacy, biometrics collection, surveillance, and more. Contact us at membership@eff.org for more information about how to attend!